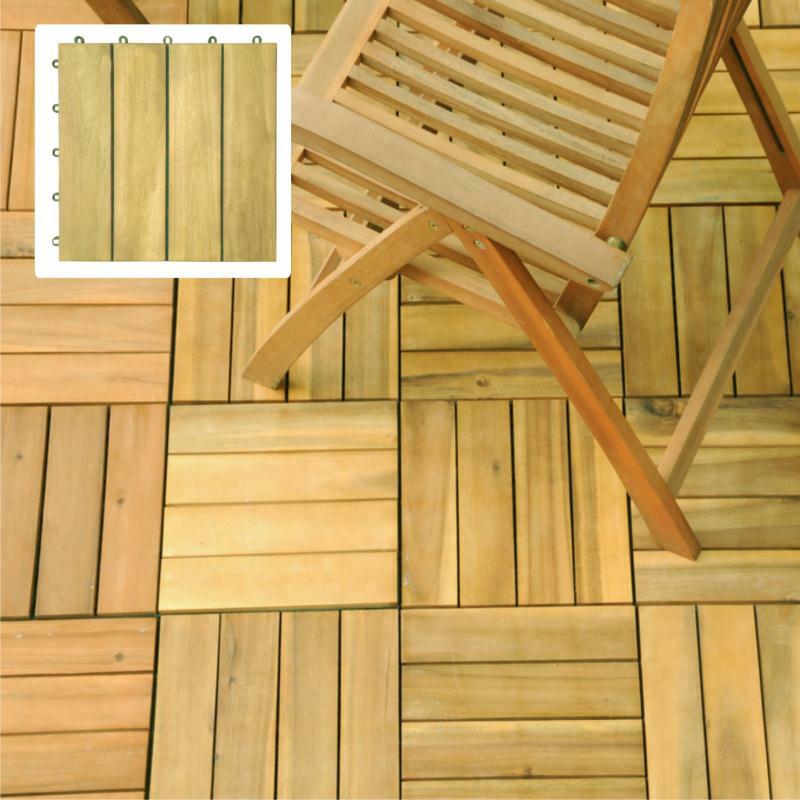 Design: The 4 slat design is the original and classic design of deck tiles. In this design, there are 4 vertical wood slats pre-screwed into the interlocking plastic base. This design provides a timeless look for any outdoor decking project from small to large. Material: Our products are made from teak grown in sustainable production throughout the seasonally dry tropics in forestry plantations. Plantation grown teak is not exactly the same with the old-growth teak, which is reputable for durability, structural strength, attractive appearance, and sanity smooth surface. However kiln drying allows for sustainable, plantation-grown teak to perform nearly on par with old-growth teak. Similar to the old-growth teak, plantation-grown teak has a rich golden color throughout its grain, and provides an elegant look for any outdoor wood products. It also has a lot of natural oils that make it water repellent, insect resistant, and suitable for use in exposed locations. The wood also has the unique qualities of not rotting or accumulating rust even when joined with metal. Pattern: Four horizontal slats per tile. Outdoor covering for patios, decks, balconies, porches, walkways, pools and hot tubs. Indoor covering for garage floors, basement floors and bathroom floors. Pre-treated, expertly kiln-dried, extremely durable Premium Plantation Teak. Mold, mildew, fungi, termites, rot and decay resistant. Backed with unique plastic interlocking grid for easy installation. Fast snap-together installation with no nails, staples or glue. Easy to remove, re-arrange and re-lay tiles. Interchangeable styles to create patterns. Wood slats permit water to flow through. Plastic feet elevate for drying airflow. Environmentally friendly Premium Plantation Teak from controlled forests.